Every single horse has her own personal furnace. Horses in the wild spend the winter clearing snow and consuming as much forage as they possibly can to keep those internal fires burning. A healthy digestive system is critical to their survival during the winter. Our domesticated horses are equally dependent on good quality grass hay to stoke their internal furnaces. 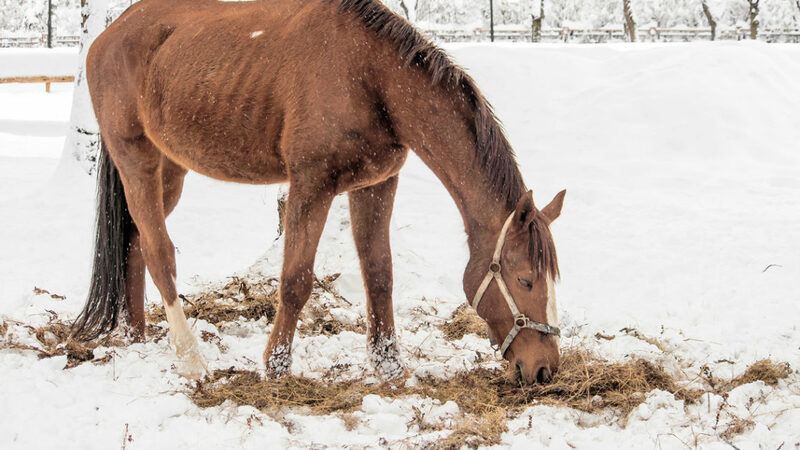 One way to be sure your horse stays healthy through the winter is to offer an acupressure session that focuses on optimal digestion; it’s his capacity to digest rough grass hay that is essential to keeping him warm. From a Chinese medicine perspective, the Stomach and Spleen are responsible for the “rotting and ripening” of food substances, the important fermentation process that occurs throughout the horse’s gastrointestinal tract. It’s the actual fermentation that creates the horse’s internal heat. The digestion process is like an internal combustion engine that heats up while fuel is being consumed. During the winter, the goal is to keep Stomach and Spleen chi flowing harmoniously through the horse’s body. When Stomach and Spleen chi are strong, the horse is able to break down fibrous hay into bio-absorbable nutrients. These nutrients serve to nourish his bones, muscles and all his soft tissues, and keep his heat-generating digestion going smoothly. Conception Vessel 12 (CV 12) is the Alarm or Gathering point that strengthens Stomach and Spleen chi. Stomach 36 (St 36) is the Master or Command point for the gastrointestinal tract, and enhances digestion. Stomach 42 (St 42) is the Source point, the acupoint that brings original essence chi to the Stomach organ system to help maintain a harmonious flow of Stomach and Spleen chi energy. Make your horse’s winter warm and comfy by sharing this acupressure session a few times a week. Remember, acupoints are located on both sides of the horse (bilaterally); stimulate these points on both sides for maximum benefit. Amy Snow and Nancy Zidonis are the authors of Acu-Horse: A Guide to Equine Acupressure, Acu-Dog: A Guide to Canine Acupressure and Acu-Cat: A Guide to Feline Acupressure. They founded Tallgrass, offering books, manuals, DVDs, apps, and meridian charts. Tallgrass also provides a 300-hour hands-on and online training program worldwide. It is an approved school for the Department of Higher Education Vocational Schools through the State of Colorado, and an approved provider of NCBTMB and NCCAOM Continuing Education courses. 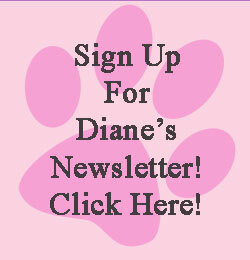 Contact 303-681-3030, animalacupressure.com or tallgrass@animalacupressure.com.